Professor Jake Kushner talks with Richard at Low Carb Down Under about using ketogenic diets to treat type 1 diabetics. Jake KushnerDr. Jake Kushner is Medical Director for McNair Interests in Houston, Texas. He is also a McNair Scholar and an Associate Professor at Baylor College of Medicine. As Medical Director of McNair Interests, Dr. Kushner’s primary focus is to leverage existing and future McNair-related investments and resources to advance and accelerate medical outcomes for people with chronic illnesses such as Type 1 diabetes. His overarching career goal is to help people with Type 1 diabetes and other chronic illnesses to live long, healthy lives. A graduate of the University of California at Berkeley, Dr. Kushner earned his medical doctorate from Albany Medical College followed by a pediatrics residency at Brown University. He then completed a pediatric endocrinology fellowship at Boston Children’s Hospital and a 5-year research fellowship at the Joslin Diabetes Center, both affiliated with Harvard Medical School. Dr. Kushner later spent 7 years as Associate Professor at the University of Pennsylvania School of Medicine and Children’s Hospital of Philadelphia. Before joining McNair Interests, he served as Chief of Pediatric Diabetes and Endocrinology at Baylor College of Medicine and Texas Children’s Hospital. The overall goal of his basic science research program is to enable regeneration of the insulin-secreting pancreatic beta cells as novel therapies for diabetes patients. Dr. Kushner’s research has been supported by the National Institutes of Health, the Juvenile Diabetes Research Foundation, and other sources. 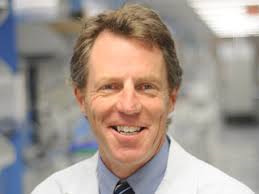 He currently serves as an advisor to Sanofi and Lexicon and is the immediate past chair of DDK-B, the United States National Institutes of Health study section that reviews training applications in diabetes research. His primary clinical interests center around the care of adolescents and young adults with Type 1 diabetes. Dr. Kushner has received numerous national honors including a Basil O’Connor Starter Scholar Research Award from the March of Dimes, election into membership to The American Society of Clinical Investigation, and service as president of the Society for Pediatric Research. Editorial on above article. "A New 'Old' Method of Glycemic Control in Diabetes: The Very-Low-Carbohydrate Diet!"